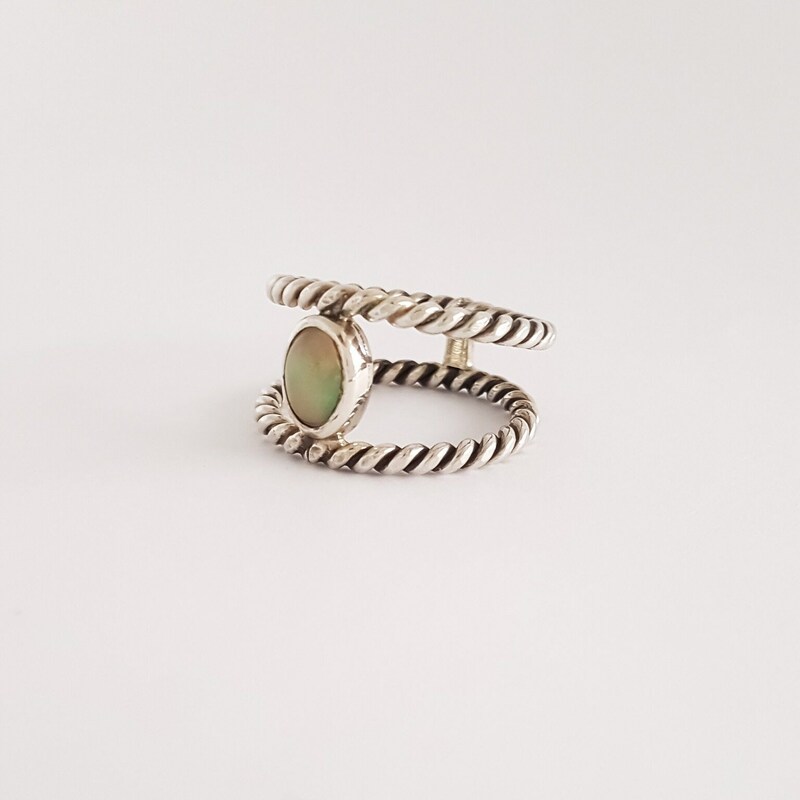 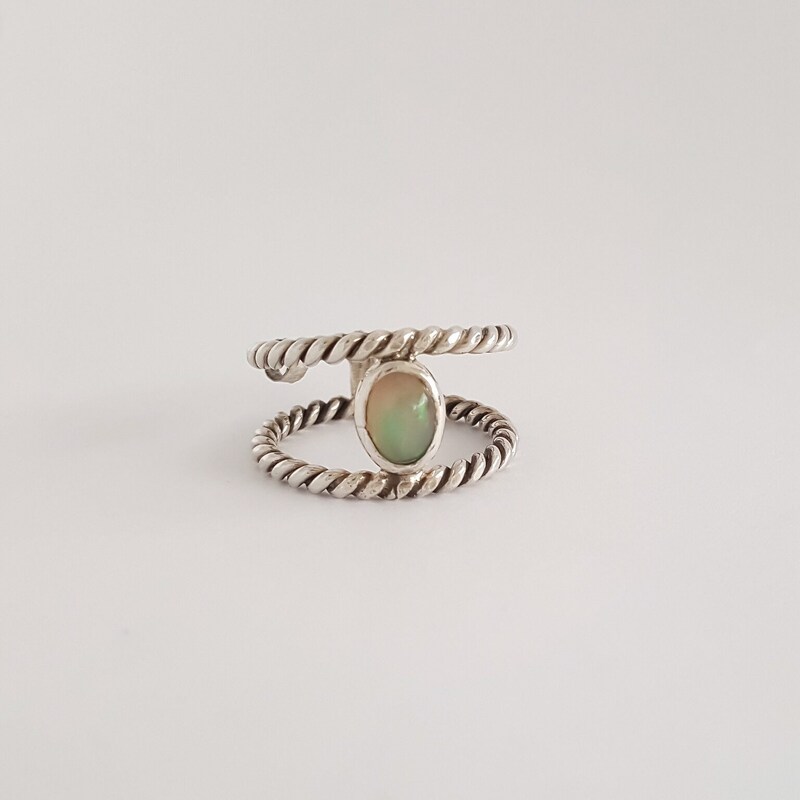 A natural healing stone believed to release mental blocks and inhibitions, inspire love and promote romance, an opal is the focal piece in the decadent design of this handmade sterling silver ring. 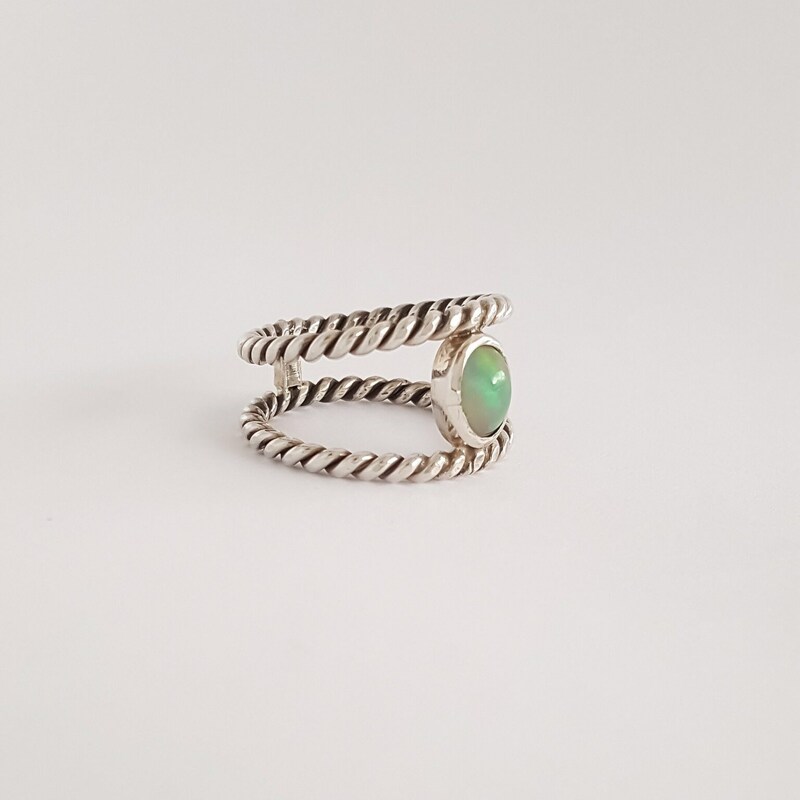 Nestled between two braided shank bands, the oval shaped opal stone is prominently presented in simple but stylish perfection. 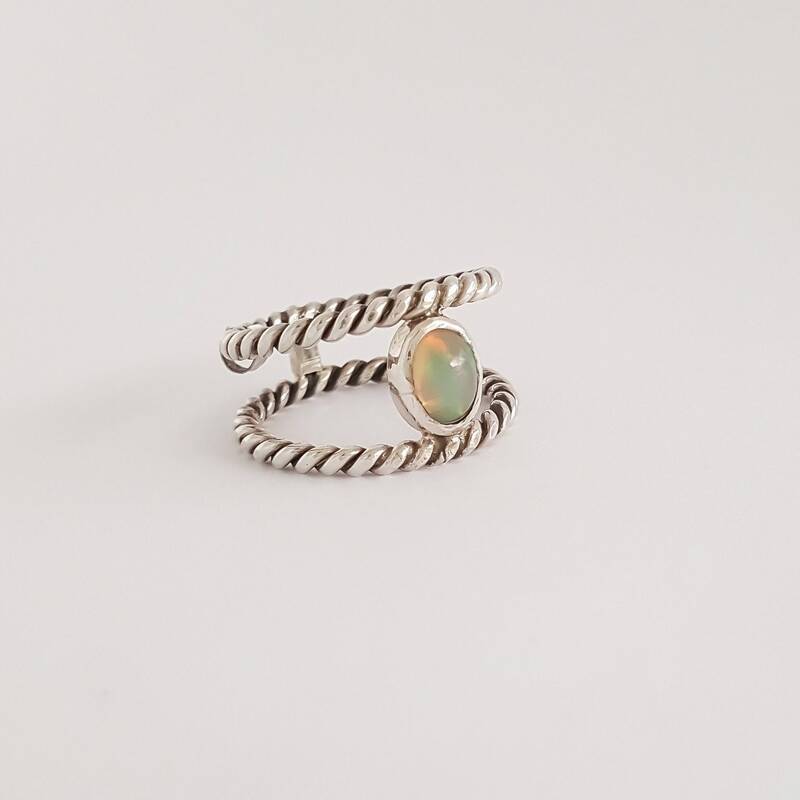 Each one of our pieces is handcrafted individually to preserve quality and craftsmanship. 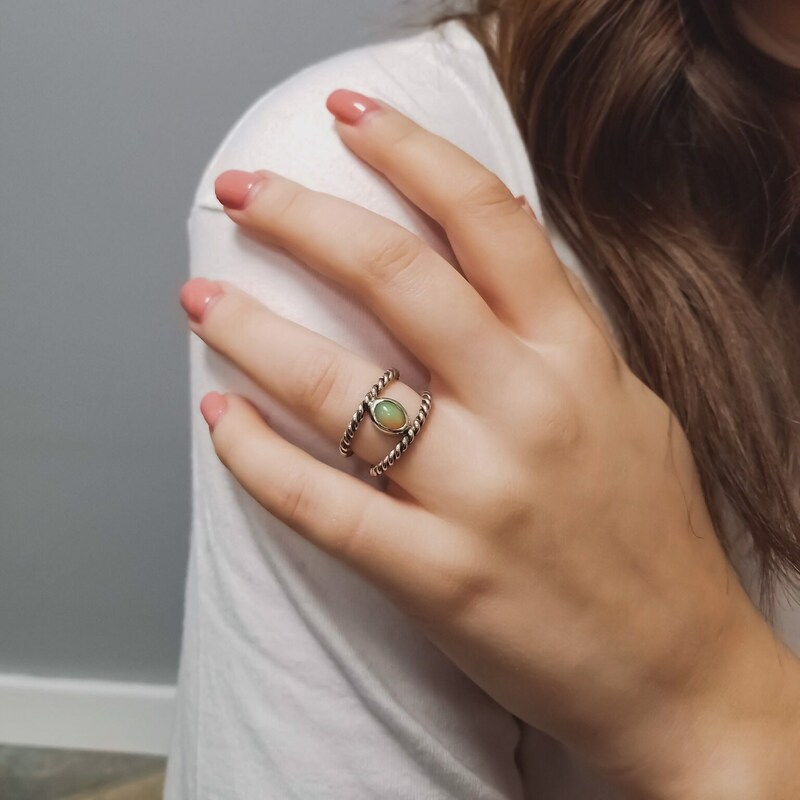 We guarantee full satisfaction or full refund.